Please help me welcome my featured guest, Diane Rose, The Amazing Quilter. Ms. Rose has been vision-impaired with glaucoma and became blind resulting from an accident in 1994. She is a motivational speaker who shares her life experiences and helps encourage others through her Rose of Sharon Ministries. "The way I look at it, if I can do what I have done, without sight, how much can you do?" she said. You need to check out this link to see some of Diane's Custom Quilts. She is an amazing woman and I’m inspired by her life story. If you’d like to see some photos of Diane’s journeys and speaking engagements, please check out this link: Diane's Scrapbook. Watch this video to see Diane’s amazing story! 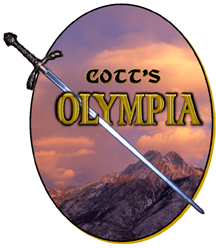 The Olympia is COTT's yearly contest for unpublished writers. The submissions are judged by their audienceâreaders well-versed in Christian fiction yet not associated with the CBA industry. subscribing to COTT's blog and âlikingâ our Facebook page. This week, Clash of the Titles, presents Author Miralee Ferrell's latest release. It's "a powerful novel that blends the warmth and heart of historical romance with a deep exploration of difficult family dynamics." Scroll to learn how to WIN a copy of the book! In 1880 Oregon, Katherine Galloway, a widow, must raise her daughters and run a boardinghouse alone. But when her controlling, outspoken mother comes to live with her, and with her older daughter who has just turned thirteen, the pressure on Katherine becomes close to overwhelming. She must find the faith, wisdom, and courage to transform her life and relationships, especially now that new-in-town widower, Micah Jacobs, begins to capture her heart. Ferrell speaks to womenâs heartfelt strugglesâfrom family dysfunction to single parenthoodâ-while offering faith-filled hope, all wrapped in an uplifting, true-to-life romance. 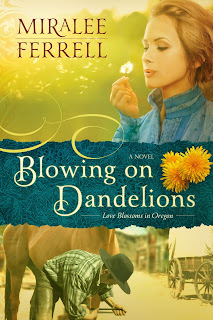 Win a copy of Blowing on Dandelions, Miraleeâs newest historical romance! Stop by her blog and answer a couple of simple questions to enter the drawing for a signed copy. Miralee Ferrell is multi-published in contemporary and historical romance, is a speaker, accredited counselor, and American Christian Fiction Writers chapter president. She and her husband enjoy horseback riding, sailing, and family gatherings around their eleven-acre property in Washington Stateâs beautiful Columbia River Gorge. 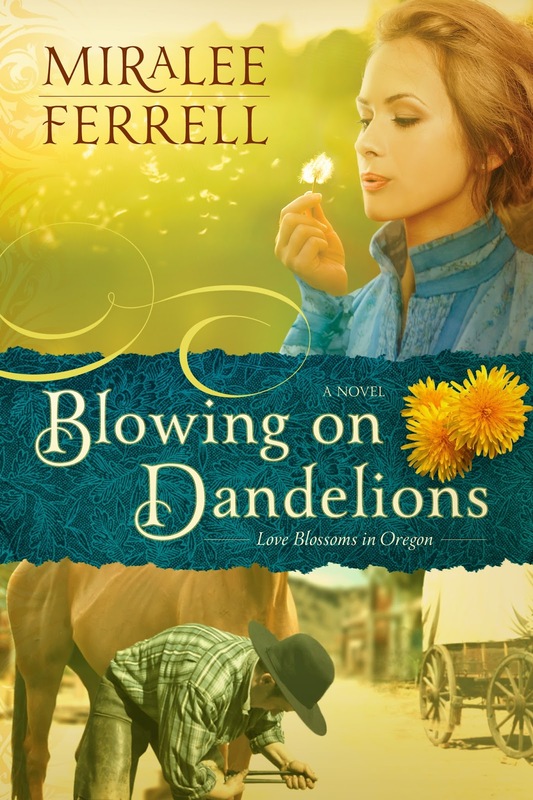 * Blowing on Dandelions has an Unexpected Depth, by M. Myhren-Bennett "Blooming with Books"
Clash of the Titles' latest champion novel couldn't be more appropriate to the season. Just look at that cover! If you haven't had a get-away this summer, Becalmed might be your ticket. COTT's readers have decided--this should be your next fiction adventure! it's anything but smooth sailing. Tadie Longworth doesn't spend much time worrying that sheâs turning into one of Beaufort, North Carolinaâs, spinsters. She has a gift shop full of her own jewelry designs and a sweet little sailboat to take her mind off the guy who got away. But now heâs backâwith the fashion-plate wife he picked instead of Tadieâand heâs hitting on her again. When widower Will Merritt limps into town with a broken sailboat and a perky seven-year-old daughter, he provides the perfect distractionâuntil that distraction turns into fascination when Tadie offers shelter during a hurricane. Over candlelit games of SlapJack and Monopoly, Jilly becomes the daughter she could have had and Will the man she always wanted. Only, heâs sworn never to let another woman in his life. Any day now, heâs going to finish those repairs, and that ship's going to sailâstraight out of Tadieâs life. Becalmed looks Amazing! Can't wait to get my own copy of it. My hat's off to all of the authors! Writing, publishing and marketing is a huge job. I LOVE Normandie Fischer's Becalmed cover! I've read Becalmed. Mature viewpoint and writing, a real relief from the usual shallow offerings of CBA. Becalmed sounds like a book from which I could benefit right now. I'm reading Becalmed right now and am enjoying it immensely. I've fallen in love with Jilly. A wonderfully atmospheric novel of coastal North Carolina. Feel the humidity without breaking a sweat! 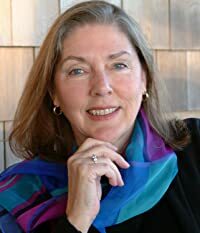 Having recently got to know Normandie Fischer, it's thrilling to find an author writing books, Becalmed and soon-to-be-released Sailing Out Of Darkness, that authentically express their heart yet at the same time are entertaining and accessible to many. Congratulations, Normandie! Normandie had the best of several worlds: a Southern heritage, access to schooling in the DC area (which meant lots of cultural adventures), and several years of sculpture studies in Italy. It might have been better for her if she'd used all these opportunities more wisely, but it's possible that the imperfect and the unwise also add fodder for the artist and the writer. Her life changed radically when she married the love of her life at an age when some would have said she was over the hill and way past her prime. (ClichÃ©s often speak the truth, don't they?) A lifelong sailor, she was delighted to find that Michael also longed to cruise lovely waters, which is what they did from Northern CA to Mexico, spending too-few years in the incomparable Sea of Cortez. Sea Venture, their 50' ketch, is back home in North Carolina now because Normandie's mama needed care. Still, it's gorgeous there, too, and she can write and edit from home as easily as she could on the boat. Her two grown children, son-in-law, and two step-sons are handsome (or gorgeous, as the case may be), talented, and a delight. Normandie has a precious brand-new granddaughter born August 21. She just wishes they lived a lot closer to home. If you're an author, please consider entering your new release in COTT's monthly competitions. Information and submission guidelines are found here. Come back often to find a new favorite author from Clash of the Titles.